Hello Everyone! 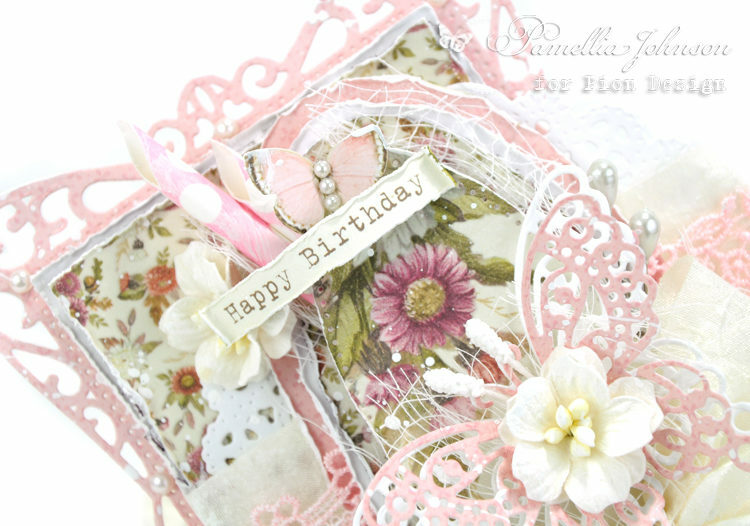 Today I am sharing a feminine birthday card combining the gorgeous floral patterns and images from Pion Design collection “Summer Falls into Autumn” along with some beautiful pink papers from “Patchwork of Life”. 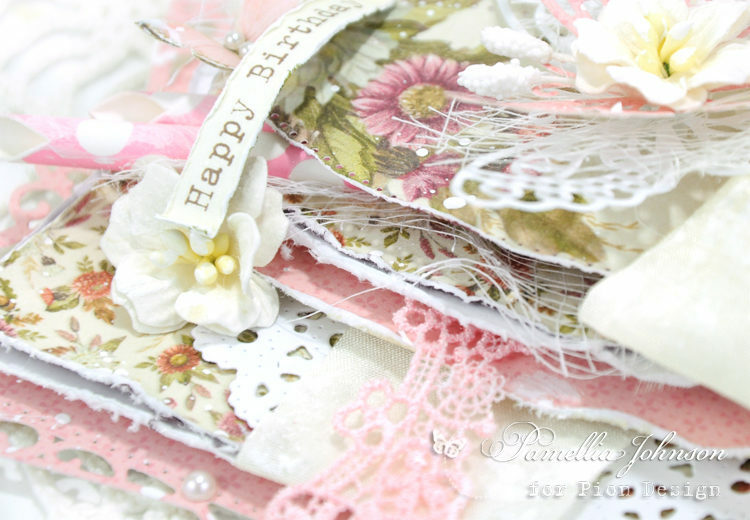 There’s no limit to the amazing combinations of Pion papers! Hoe beautiful can iT be! !